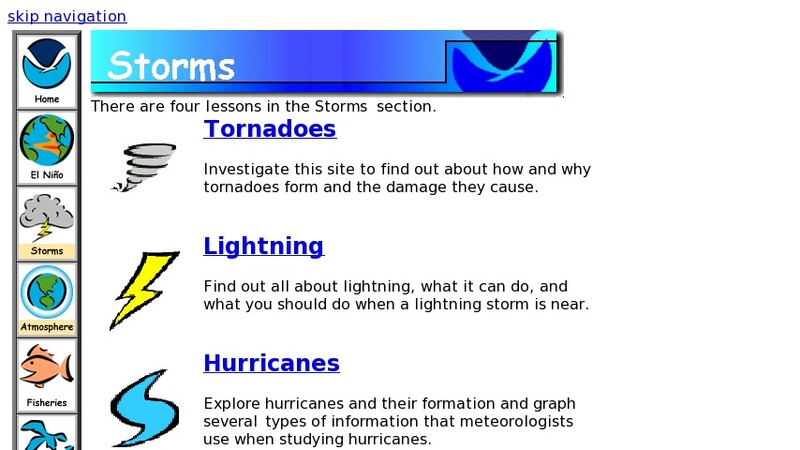 Teaching activities that investigate hurricanes, tornadoes, and lightning by tracking their courses and measuring their strength, plus learn how weather is forecasted. Includes background information, data, applications, and additional activities. Links to related sites, as well as a wealth of similar NOAA lessons covering a variety of marine and environmental science topics.